El objetivo del presente trabajo es analizar cómo las características del profesor influyen en el resultado académico del alumno. Con este fin, se emplea una muestra que integra información sobre 3.219 alumnos y 12 profesores de la Universitat Autònoma de Barcelona. Dichos datos se analizan adoptando un modelo de regresión lineal sobre el que se aplica el estimador de desviación absoluta mínima censurada (CLAD). Los resultados obtenidos indican que la calidad de la docencia y la publicación de artículos en revistas indexadas en las bases de datos ISI Web of Science y Econlit tienen un efecto positivo y significativo en el resultado académico del alumno. Por el contrario, concentrar la docencia en una única asignatura, trabajar como profesor asociado y ser profesor de amplia experiencia influyen negativamente en el desempeño académico del alumno. Adler, Nancy J., and Anne-Wil Harzing. (2009). When knowledge wins: Transcending the sense and nonsense of academic ranking. Academy of Management Learning and Education, V. 8, nº 1, pp. 72-95. Angrist, Joshua D., and Victor Lavy (2001). Does teacher training affect pupil learning? Evidence from matched comparisons in Jerusalem public schools. Journal of Labor Economics, V. 19, nº 2, pp. 343-369. Armstrong, David, and Peter Goodyear. (2006). Implications of external research quality assessment for local research leadership: Learning from the UK RAE experience. Australian Educational Researcher, nº 33, pp. 19-41. Arnold, Ivo J.M. (2008). Course level and the relationship between research productivity and teaching effectiveness. Journal of Economic Education, V. 39, nº 4, pp. 307-321. Barnett, Bryan. (1992). Teaching and research are inescapably incompatible. Chronicle of Higher Education, p. A40. Bazeley, Pat. (2003). Defining early career in research. Higher Education, V. 45, nº 3, pp. 257-279. Becker, William E., and John R. Powers. (2001). Student performance, attrition, and class size given missing student data. Economics of Education Review, V. 20, nº 4, pp. 377-388. Bedard, Kelly, and Peter Kuhn. (2008). Where class size really matters: class size and student ratings of instructor effectiveness. Economics of Education Review, V. 27, nº 3, pp. 253-265. Beleche, Trinidad, David Fairris, and Mindy Marks. (2012). Do course evaluations truly reflect student learning? Evidence from an objectively graded post-test. Economics of Education Review, V. 31, nº 5, pp. 709-719. Benjamin, Ernst. (2002). How over reliance upon contingent appointments diminishes faculty involvement in student learning. Peer Review, V. 5, nº 1, pp. 4 10. Benjamin, Ernst. (2003). Reappraisal and Implications for Policy and Research. New Directions for Higher Education, nº 123, pp. 79-113. Bettinger, Eric P., and Bridget Terry Long. (2010). Does cheaper mean better? The impact of using adjunct instructors on student outcomes. Review of Economics and Statistics, V. 92, nº 3, pp. 598-613. Braxton, John M. (1996). Contrasting perspectives on the relationship between teaching and research. New Directions for Institutional Research, nº 90, pp. 5-14. Cantwell, Robert, Jennifer Archer, and Sid Bourke. (2001). A comparison of the academic experiences and achievement of university students entering by traditional and non-traditional means. Assessment and Evaluation in Higher Education, V. 26, nº 3, pp. 221-234. Carrell, Scott E., and James E. West. (2010). Does Professor Quality Matter? Evidence from Random Assignment of Students to Professors. Journal of Political Economy, V. 118, nº 3, pp. 409-432. Cherchye, Laurens, Bram De Rock, and Frederic Vermeulen. (2008). Analyzing cost-efficient production behavior under economics of scope: A nonparametric methodology. Operations Research, V. 56, nº 1, pp. 204-221. Cho, Insook. (2012). The effect of teacher–student gender matching: Evidence from oecd countries. Economics of Education Review, V. 31, nº 3, pp. 54-67. Chow, Chee W., and Paul Harriso. (1998). Factors contributing to success in research and publications: Insights of “influential” accounting authors. Journal of Accounting Education, V. 16, nº 3-4, pp. 463-472. Eskew, Robert K., and Robert H. Faley. (1988). Some determinants of student performance in the first college level financial accounting course. The Accounting Review, V. 63, nº 1, pp. 137-147. Ewing, Andrew M. (2012). Estimating the Impact of Relative Expected Grade on Student Evaluations of Teachers. Economics of Education Review, V. 31, nº 1, 141-154. Fairweather, James S. (2002). The mythologies of faculty productivity: Implications for institutional policy and decision-making. Journal of Higher Education, V. 73, nº 1, pp. 26-48. Fogarty, Timothy J. (2004). Sustained research productivity in accounting: a study of the senior cohort. Global Perspectives on Accounting Education, V. 1, pp. 31-58. Gibbs, Graham, and Martin Coffey. (2004). The impact of training of university teachers on their teaching skills, their approach to teaching and the approach to learning of their students. Active Learning in Higher Education, V. 5, nº 1, pp. 87-100. Goodwin, Thomas H., and Raymond D. Sauer. (1995). Life cycle productivity in academic research: Evidence from cumulative publication histories of academic economists. Southern Economic Journal, V. 61, nº 3, pp. 728-743. Hardré, Patricia L., Andrea D. Beesley, Raymond L. Miller, and Terry M. Pace. (2011). Faculty motivation to do research: across disciplines in research extensive universities. The Journal of the Professoriate, V. 5, nº 1, pp. 35-69. Harris, Douglas N., and Tim R. Sass. (2011). Teacher training, teacher quality and student achievement. Journal of Public Economics, V. 95, nº 7, pp. 798-812. Harzing, Anne-Wil. (2013) A Preliminary Test of Google Scholar as a Source of Citation Data: A Longitudinal Study of Nobel Prize Winners, Scientometrics, V. 94, nº 3, pp. 1057-1075. Hattie, John, and Herbert W. Marsh. (1996). The relationship between research and teaching-a metaanalysis. Review of Educational Research, V. 66, nº 4, pp. 507-542. Hoffmann, Florian, and Philip Oreopoulos. (2009). Professor qualities and student achievement. The Review of Economics and Statistics, V. 91, nº 1, pp. 83-92. Hu, Qing, and T. Grandon Gill. (2000). Is faculty research productivity: Influential factors and implications. Information Resources Management Journal, V. 13, nº 2, pp. 15-25. Jacob, Brian A., and Lars Lefgren. (2008). Principals as agents: subjective performance measurement in education. Journal of Labour Economics, V. 26, nº 1, pp. 101-136. Jacoby, Daniel. (2005). Part-time or contingent community college faculty and the desire for full-time tenure track positions. Community College Journal of Research and Practice, V. 29, pp. 1-16. Jacoby, Daniel. (2006). Effects of Part-Time Faculty Employment on Community College Graduation Rates. The Journal of Higher Education, V. 77, nº 6, pp. 1081-1103. Jaeger, Audrey J., and M. Kevin Eagan. (2011). Examining Retention and Contingent Faculty Use in a State System of Public Higher Education. Educational Policy, V. 25, nº 3, pp. 507-537. Kennedy, Peter E., and John J. Siegfried. (1997). Class size and achievement in introductory economics: evidence from the tuce iii data. Economics of Education Review, V. 16, nº 4, pp. 385-394. Kherfi, Samer. (2008). Economic Education in the Middle East: Are the Determinants of Success in Introductory Economics Any Different? Journal of Economic Education, V. 39, nº 1, pp. 22-40. Kim, Seongsu. (2003). The impact of research productivity on early retirement of university professor. Industrial Relations, V. 42, nº 1, pp. 106-125. Levin, Sharon G., and Paula E. Stephan. (1991). Research productivity over the life cycle: evidence for academic scientist. American Economic Review, V. 81, nº 1, pp. 114-132. Lindbeck, Assar, and Dennis J. Snower. (2003). The Firm as a Pool of Factor Complementarities. iza Discussion Paper 882. McKenzie, Kirsten, and Robert Schweitzer. (2001). Who succeeds at university? Factors predicting academic performance in first year Australian university students. Higher Education Research & Development, V. 20, nº 1, pp. 21-33. Marcenaro Gutiérrez, Oscar D., and María Navarro Gómez. (2007). El éxito en la universidad: una aproximación cuantílica. Revista de Economía Aplicada, V. 15, nº 44, pp. 5-39. Marsh, Herbert W., and John Hattie. (2002). The relation between research productivity and teaching effectiveness: complementary, antagonistic or independent constructs? The Journal of Higher Education, V. 73, nº 5, pp. 603-641. Martí-Ballester, Carmen-Pilar. (2012). Analysis of the Factors that Influence the Academic Performance of Financial Accounting Students using Binary Choice Models. Review of Business Management, V. 14, nº 45, pp. 379-399. Martí-Ballester, Carmen-Pilar, and Neus Orgaz-Guerrero. (2014). Análisis del uso de cuestionarios en contabilidad financiera. 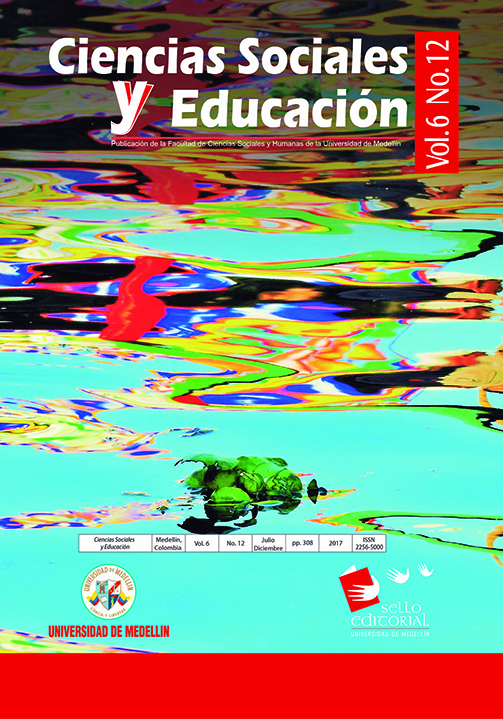 Educación XX1, V. 17, nº 1, pp. 271-290. Massy, William F., and Andrea K. Wilger. (1995). Improving productivity: What faculty thinks about it—and its effect on quality. Change, V. 27, nº 4, pp. 10-20. Mishra, Vinod, and Russell Smyth. (2012). Are more senior academics really more research productive than junior academics? Evidence from Australian law schools. Scientometrics, (In press). Neumann, Ruth. (1992). Perceptions of the teaching-research nexus: A framework for analysis. Higher Education, V. 23, nº 2, pp. 159-171. Noser, Thomas C., Herman Manakyan, and John R. Tanner. (1996). Research Productivity and Perceived Teaching Effectiveness: A Survey of Economics Faculty. Research in Higher Education, V. 37,nº 3, pp. 299-321. Powell, James L. (1984). Least Absolute Deviations Estimation for the Censored Regression Model. Journal of Econometrics, V. 25, nº 3, pp. 303-325. Prince, Michael J., Richard M. Felder, and Rebecca Brent. (2007). Does faculty research improve undergraduate teaching? An analysis of existing and potential synergies. Journal of Engineering Education, V. 96, nº 4, pp. 283-294. Ramsdem, Paul. (1998). Managing the effective university. Higher Education Research and Development, V. 17, nº 3, pp. 347-371. Ramsden, Paul, and Ingrid Moses. (1992). Association between research and teaching in Aus-tralian higher education. Higher Education, V. 23, nº 3, pp. 273-295. Riehl, Carolyn, and John W. Sipple. (1996). Making the Most of Time and Talent: Secondary School Organizational Climates, Teaching Task Environments, and Teacher Commitment. American Educational Research Journal, V. 33, nº4, pp. 873-901. Sharma, Subhash, and William L. James. (1981). Latent root regression: An alternate procedure for estimating parameters in the presence of multicollinearity. Journal of Marketing Research, V. 18, nº 2, pp.154-161. Sheard, Michael. (2009). Hardiness commitment, gender, and age differentiate university academic performance. British Journal of Educational Psychology, V. 79, nº 1, pp. 189-204. Spiller, Pablo T., and Bennet A. Zelner. (1997). Product Complementarities, Capabilities and Governance: A Dynamic Transaction Cost Perspective. Industrial and Corporate Change, V. 6, nº 3, pp. 561-594. Sullivan, Anna V. Shaw. (1996). Teaching norms and publication productivity. New Directions for Institutional Research, nº 90, pp. 15-21. Sykes, Pat. (2006). Working in a ‘new’ university: In the shadow of the Research Assessment Exercise. Studies in Higher Education, V. 31, nº 5, pp. 555-568. Stack, Steven. (2003). Research productivity and student evaluation of teaching in social science classes: a research note. Research in Higher Education, V. 44, nº 5, pp. 539-556. Tien, Flora F., and Robert T. Blackburn. (1996). Faculty rank system, research motivation, and faculty research productivity: Measurement refinement and theory testing. Journal of Higher Education, V. 67, nº 1, pp. 2-22. Tobin, James (1958). Estimation of relationships for limited dependent variables. Econometrica: journal of the Econometric Society, V. 26, no 1, pp. 24-36. Toutkoushian, Robert Kevin, and Marcia L. Bellas. (1999). Faculty time allocations and research productivity. The Review of Higher Education, V. 22, nº 4, pp. 367-390. Umbach, Paul D. (2007). How effective are they? Exploring the impact of contingent faculty on undergraduate education. The Review of Higher Education, V. 30, nº 2, pp. 91-124. Walstad, William B. (2001). Improving assessment in University Economics, Journal of Economic Education, V. 32, nº 3, pp. 281-294. Watty, Kim, Sheila Bellamy, and Clive Morley. (2008). Changes in higher education and valuing the job: The views of accounting academics in Australia. Journal of Higher Education Policy and Management, V. 30, nº 2, pp. 139-151. Witte, Kristof, Nicky Rogge, Laurens Cherchye, and Tom Van Puyenbroeck. (2013). Economies of scope in research and teaching: a non-parametric investigation. Omega, V. 41, nº 2, pp. 305-314.